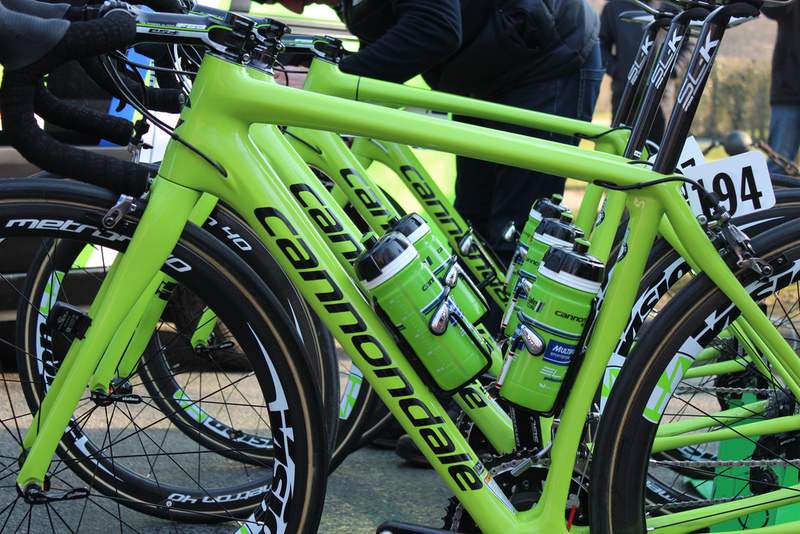 I read this week that the Cannondale pro cycling team had $100,000 worth of bikes stolen from their base in Italy, including those belonging to star riders Ivan Basso and Peter Sagan. My first thought is: ‘this seems to happen all the time’. You can almost feel the sense of loss in those 140 characters; who says Twitter is trivial and shallow? But back to this latest incident with Cannondale, and I suppose if you wanted to pinch a bike with a bit of sell-on value, it may as well be Peter Sagan’s actual racing bike. I imagine someone like Mario Cipollini has probably got a bike somewhere which is gold plated or diamond encrusted or something similar and worth a small fortune, but beyond that, Sagan’s bike would undoubtedly fetch a fair price on e-bay. From the outside looking in, it’s tempting to think that a team like Cannondale – a team based around a bike manufacturer after all – wouldn’t really miss a few bikes…they can just grab a few more from the factory. But $100,000 is $100,000, warehouse full of bikes or not, and I’m led to believe that even when they manage to keep the things safely in their possession, the pro teams are not given to dishing these high spec machines out on a whim, even to the likes of Basso and Sagan. I’m always surprised to read that riders have two or three bikes a season to use as their race bikes, and at the end of the year they have to give them back. It sounds like a similar deal to the cycle to work scheme: ‘Ok Mr Wiggins, here’s your bike…at the end of the season you can either make the final payment and keep the bike, or hand it back so it remains the sole property of Mr Brailsford’. …it might be Sagan’s bike. It’s incredible how something like that could actually happen! It seems surprising, you’d imagine it’s a professional job rather than just some opportunists…they obviously know what they’re looking for. I saw all the team’s bike lined up outside their ‘vans’ at the start of Paris-Roubaix – number crunching away I ended up calculating ridiculous figures for the merchandise that was lined up there, easily £1.5 million of bikes alone! You raise the point though….how does someone actually manage to sell one of these on?! People were pretty much touching them, including the classic tyre squeeze to check pressures! I’ve been told I come across as the Hugh Grant Brit stereotype to foreigners, should make me above suspicion but probably has its own issues! Ha ha, i suppose so!